The great curassow (Crax rubra) is a terrestrial bird but can fly to escape danger but most often run away. The males are blacks and females brown. 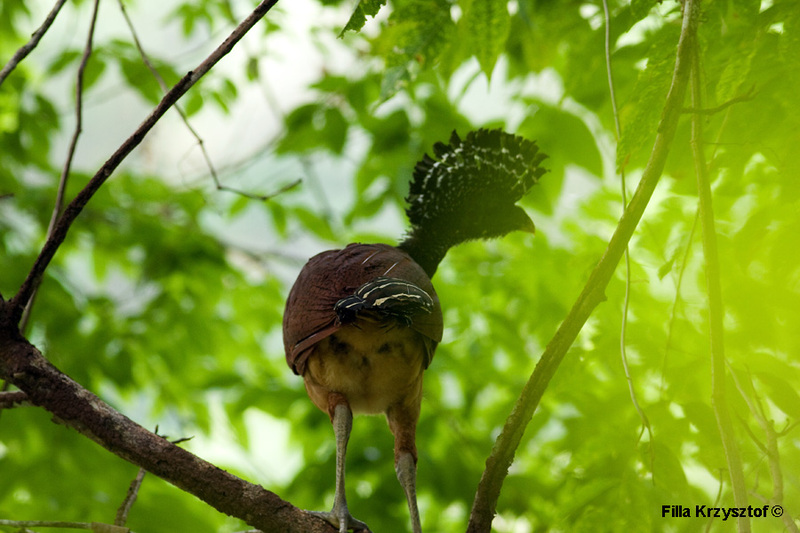 They are monogamous birds that couple for life time building nests on trees.